She is Northwest district director for the national organization Survivors Network of those Abused by Priests (SNAP) and serves on the SNAP national board of directors. 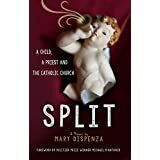 Mary’s memoir, SPLIT: a child, a priest and the Catholic Church, chronicles her own abuse, her years as a nun and her search for healing from trauma and shame. As part of that healing, Mary spent time working in health clinics in Africa. She fell in love with the land and its people, who became subjects for her art. An accomplished painter and photographer, Mary sells her art as a way of supporting the Tanzanian anti-malaria project Nets for Babies. You can purchase works by Mary and help this life saving effort at ARTFrees.com. Mary is also a leader in Equal Rights Washington, which fights for the rights of LGBTQ citizens and an outspoken advocate of equality for all. Educating the public about the lack of equality and the reasons equality matters so profoundly, starts with children. Mary, a lifelong educator, is the author of Out on the Streets and Our Families Our Children, published by the Safe Schools Coalition. You can learn more about Mary’s activism and opinion on the Mary in the Media page. Keep up with developments in the fight against abuse, find out what Mary’s doing and share your own opinions and stories about abuse by subscribing to updates from her blog. For even more from Mary, follow Mary on Twitter @marydispenza and interact on her Mary Dispenza Facebook page.